street block, and you can sit down at a restaurant to a variety of delicious dishes like Bak Kut Teh and fish head curry. For the best selection of local food at the best prices, go to any one of the numerous hawker centers. These originated decades ago to give a dry and sanitary space for Singapore's street food vendors. 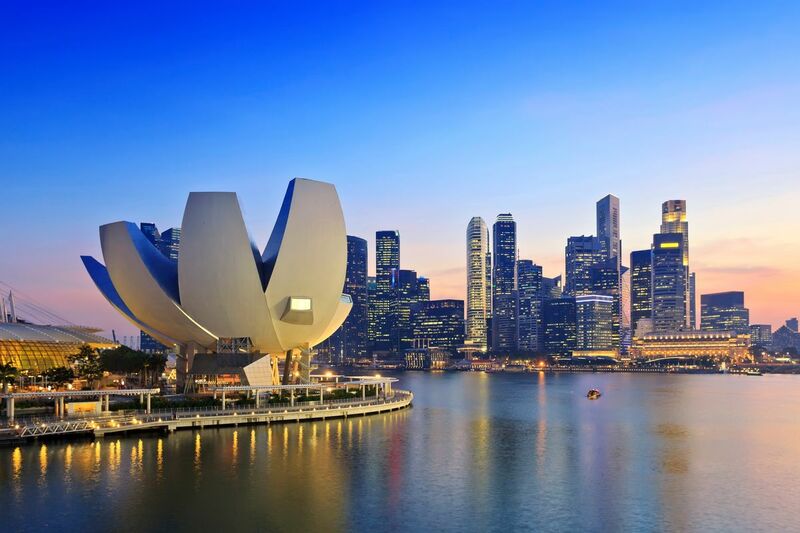 Travelers to the Singapore gravitate toward Chinatown or Little India, or to one of the newest attractions, like the remarkable Gardens by the Bay. The city-state has recently opened two “integrated resorts” (also known as casinos) and other nightlife options are centered on the Riverside district. The mix of Chinese, Malay and Indian populations make for a year-round of colorful events like Lunar New Year, the Dragon Boat Festival, and Dewali, the Hindu Festival of Lights, and others. likely to come with dry days and fewer crowds, although there are sprinkles year-round and not much by way of an off season. Because of the cultural diversity of the country, you are also likely to encounter a festival while you are visiting; the country observes Christian, Hindu, Budhist, and Islamic (among other) holidays. No matter when you travel, it’s best to be prepared - pack a poncho, some sunscreen, and some heavy-duty deodorant. Street, check your change and keep your receipt. Trip by Skyscanner surveyed its LGBTQ Tribe to compile safety tips for this destination. While no one destination is ever completely safe or unsafe, our hope is that this information will allow users to make their own decisions with better information. Singapore is definitely a fist stop if you are starting to explore Asia. Very safe, friendly for solo female, a great place to taste different asia food like Chinese, Thai food, etc. Good place to buy luxury things. times the size! The food is definitely the highlight, and if you don’t manage Satay Street then you’re missing out. Drinks are expensive, and it can get really muggy, but if that’s the worst to worry about then you’re not going to come off too badly. Singapore is my overall favourite destination of my lifetime. Palau Ubin was my favourite place to walk/hike/cycle and the country is very clean, friendly, and inviting. Singapore is a clean, mostly english speaking, upcoming country! They are a major melting pot of the surrounding countries, India, Malaysia, Indonesia, Thailand, and China. There is so much to explore. There are countless shopping areas, skyscraper areas, shopping malls, restaurants, and cultural places to visit such as Little India and Chinatown! I understand why many South East Asian lovers snob Singapore, but I like it exactly for the same reason. It's a mix of India and China, clean, safe, uber efficient and yes relatively expensive.